Collateral refers to assets that you are willing to put up to secure credit, such as a small business loan. Loans that use tangible assets as collateral are called secured loans (as opposed to unsecured loans). The advantage of secured loans is that they often have lower interest rates than unsecured loans. But to get that better interest rate (or sometimes any loan at all) can be risky; if you are unable to pay off your loan as scheduled, the assets you used as collateral will be seized and sold, and the money raised by selling the assets will be used to repay the loan. That's why lenders love collateral; if the loan goes south, they'll still get something out of lending you the money. Your house, your car, property, or equipment are all examples of tangible assets that you may be able to use as collateral for debt financing. Specifically, the asset must have a title of ownership that the lending institution can seize if the loan is not repaid. An asset that has outstanding loans against it (such as a house with a mortgage) can still be used as collateral if the bank can take over the existing loan and claim the title. For businesses, assets such as equipment can be used as collateral. For example, a business that requires a loan to purchase a new trailer may be able to use the trailer for collateral. Moneys owed the business (Accounts Receivable) may also qualify. If, for example, a business receives a large order for services or equipment but needs a temporary loan to purchase the equipment from wholesalers or hire additional staff to fulfill the order, the order itself can serve as collateral. When looking at assets, typically the lender conducts a collateral assessment and appraisal review process to determine the market value. However, the assigned collateral value is normally closer to the "fire-sale" value rather than fair market value. In a situation where the lender needs to sell the pledged collateral assets to recover the amounts loaned, they may under-price the assets for quick sale. Collateral values can also change significantly over time. In a declining real estate market, for instance, the asset value of a house and property may be substantially less when a loan needs to be renewed and the collateral is being reassessed. Deciding whether a particular asset qualifies as collateral and how much it is worth is solely up to the discretion of the lender. Typically the lender will assign an interest rate in accordance with the perceived risk. If the collateral assets are of marginal worth and/or the risk of default is higher, the lender will likely demand a higher rate of interest on the loan - which is often the situation that small business owners find themselves in. Small Business Administration (SBA) loans - personal as well as business assets are acceptable as collateral. The SBA loans up to 80% of the appraised value of real estate except for undeveloped land (50%), up to 50% for new equipment and up to 20% for inventory. Commercial real estate loans - for the purchase, development, or upgrades to commercial real estate banks will typically loan up to 80% of the property value. Inventory loans - up to 50% of the inventory used as collateral. Inventory loans are heavily scrutinized by lenders and are often difficult to obtain as the creditor may have difficulty liquidating the inventory to repay the loan if required. Accounts receivable/invoice financing - typically 75-90% of the value of the receivables, unless there is a higher risk of non-payment of the receivables. General purpose business loans - most require collateral in the form of cash or securities (up to 95%). 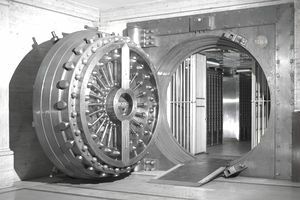 Unlike large businesses that may own substantial assets such as property, buildings, or equipment, small or medium-sized enterprises (SMEs) often do not have any form of available collateral and as such are not eligible for loans from financial institutions unless the owners of the business are prepared to put up personal assets as collateral (known as a Personal Guarantee). Pledging personal assets as collateral for a business carries a high degree of risk - even if the business is incorporated the lender can seize the assets of the owner(s) in the event of non-repayment of the loan. For many small business people, there is simply not enough business or personal collateral available to get a secured loan from a lending institution; they will have to explore other options such as micro loans and community funds (if the amount sought is small enough) or depend on equity financing instead. With equity financing your business takes on investors who inject capital into the business in return for an equity share - they become part owners of the business and as such have a say in how the business is operated. Angel investors - typically high net worth individuals who are looking to invest up to $100,000 in businesses that can provide a higher rate of return than traditional investments. There are also angel investor groups that pool their money for investing in businesses. Venture Capitalists - partnership groups that typically invest at least $1,000,000 in established businesses that are growing and need capital for expansion.